Fresh Air Makeup feels as light as air. You can look fresh and natural in Estee Lauder Fresh Air Makeup. Estee Lauder is a well established company that has many loyal followers as well as many new converts. This line of makeup has a wide range of products from foundations to eye shadow to lipsticks; it is one of the largest brands of cosmetics and continues to grow. The company even has a full line of skincare products including moisturizers, cleansers and anti-aging treatments. Estee Lauder foundations remain a popular choice for women who want a natural but also flawless look. Estee Lauder Fresh Air Makeup Base is a semi-matte foundation that is at once both soft and natural looking. It claims to give your skin a "fresh-air" glow. It provides medium coverage and will not clog pores or cause acne. Once it is on your skin, you will not be able to feel it. Unlike many foundations that feel heavy and look cakey, Fresh Air Makeup is light, yet will cover many flaws. Ivory Mist is the lightest Fresh Air shade. It is perfect for those with fair or light skin tones. Linen Beige works well for light to medium skin tones. 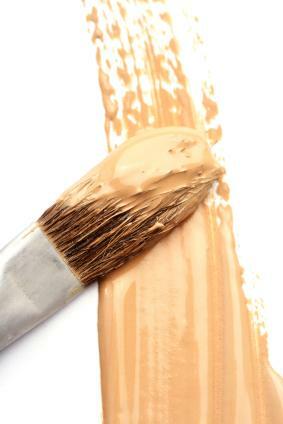 Natural Beige is great for those with medium to dark skin tones. Newport Beige is the darkest shade. It is good for deeper skin tones. If you are uncertain about what shade you should use, consult an Estee Lauder expert. She can give you a free consultation and match you to your perfect shade. Remember that your skin can change with the seasons. In the summer when you may be tan, choose a darker shade or mix a shade that is a bit darker with your existing foundation color. Always start with a clean face free of makeup and oil. Be sure to moisturize before applying foundation. Wait for your moisturizer to be absorbed before applying your foundation. Fresh Air Base does not contain a sunscreen so choose a moisturizer that contains one or use a sunscreen separately to protect your skin from sun damage. Use a foundation brush for a flawless application. Set your foundation with a powder such as Estee Lauder's Lucidity Translucent Powder. Finish your look with a blush or bronzer. If you are interested in a light foundation that provides medium coverage, consider Fresh Air Makeup Base. This foundation is perfect for those who don't like to look or feel like they are wearing makeup but still want a flawless appearance.